Ok, may be the first question is what is affiliate marketing? Affiliate marketing is the promotion of a product or service through a website, blog or social media, where in the end, the publisher (as known as, owner of the website or bog) is paid. "Affiliate marketing isn’t a new concept, but the rise of e-commerce since the ’90s has enabled it to grow into a huge industry worth billions in sales every year, with opportunities available in any niche or product you can imagine. Though, there's no lack of affiliate marketing "gurus" proclaiming how easy is it to make money online, the truth is that the majority of affiliate sites fail to earn much at all." 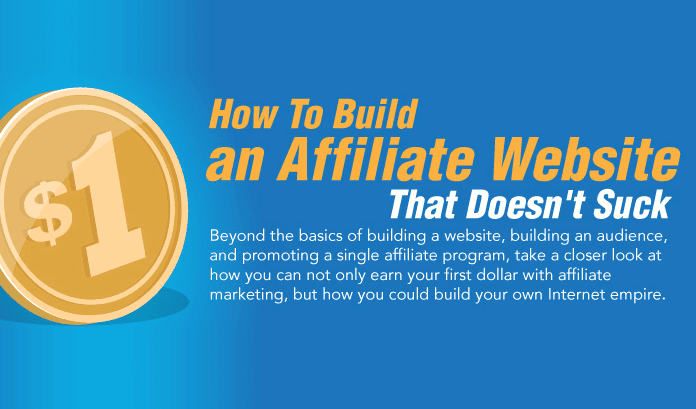 So to help you out, the good folks at Whoishostingthis have created this handy infographic guide that breaks down all the steps you need to take to build a successful affiliate website. Create an avenue for your users to talk back to you. Create a point of difference (POD) so you don't blend in with all the other affiliates promoting the same products and services you are. Use multiple methods to diversify your monetization. Develop methods to contact users without them having to visit your website (like creating an email marketing list, creating a Facebook or Twitter fan page etc). Develop relationships with others in your niche.